Hey there everyone! I’ve been working hard on my den the past few weeks and am making headway! I’ve still got a ways to go, but I can see a light at the end of the tunnel. 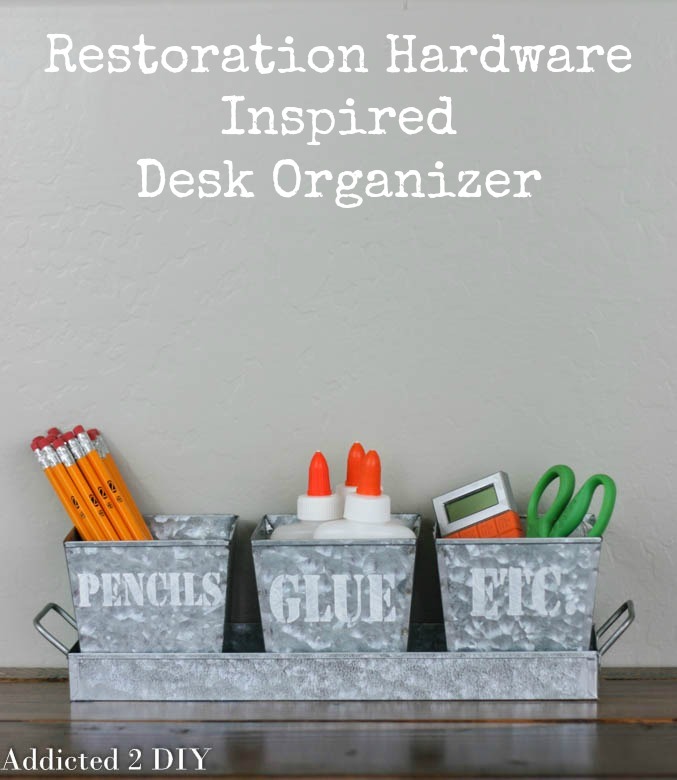 One day while browsing the internet for inspiration, I came across some industrial desk organizers from Restoration Hardware Baby & Kids. 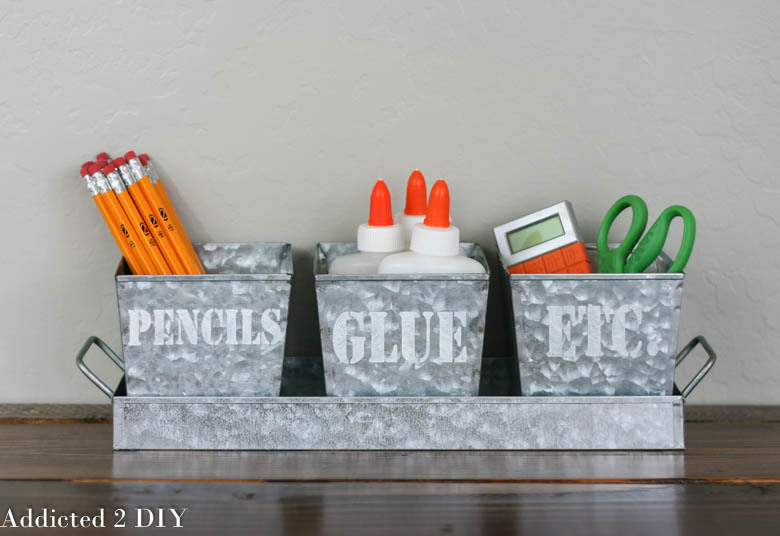 The divided organizer had me thinking about the galvanized organizer at Michaels and it seemed like the perfect organizer for my boys’ new desktop. 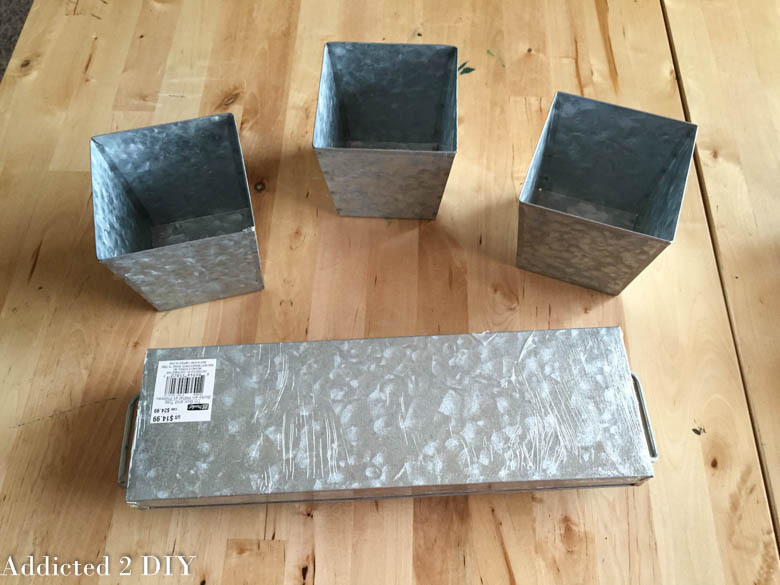 I bought this galvanized set with a 50% off coupon, so it was only $7.50! 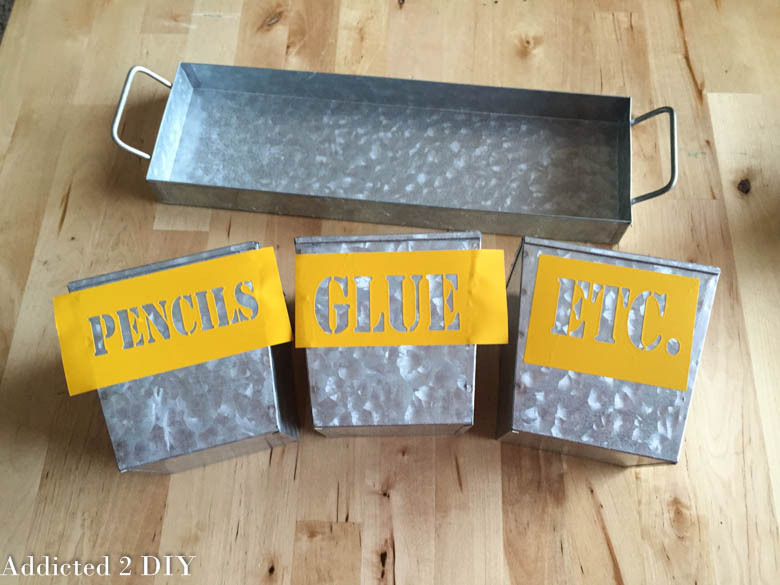 I cut some scrap vinyl out on my CAMEO using a stencil font and positioned it on each of the galvanized containers. 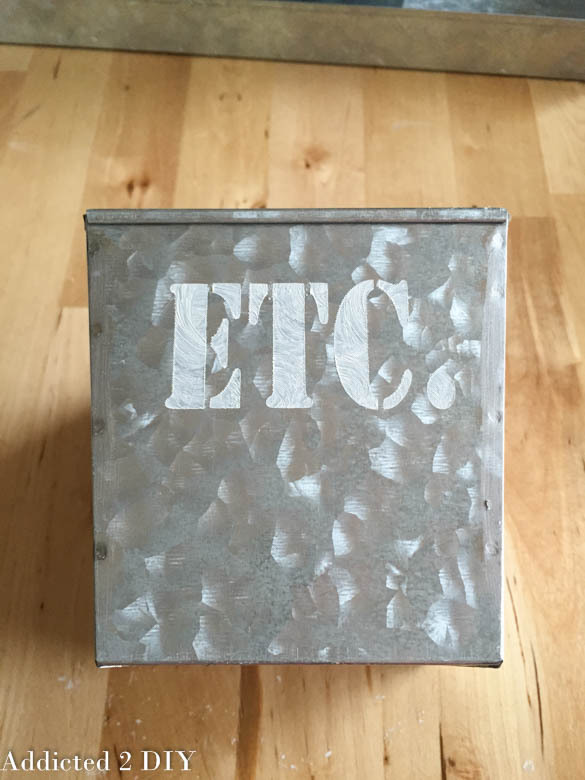 I used some chalky finish paint in Everlasting to stencil the letters. I peeled up the vinyl and let the paint dry, and that was it! Super simple and I was done in just minutes! 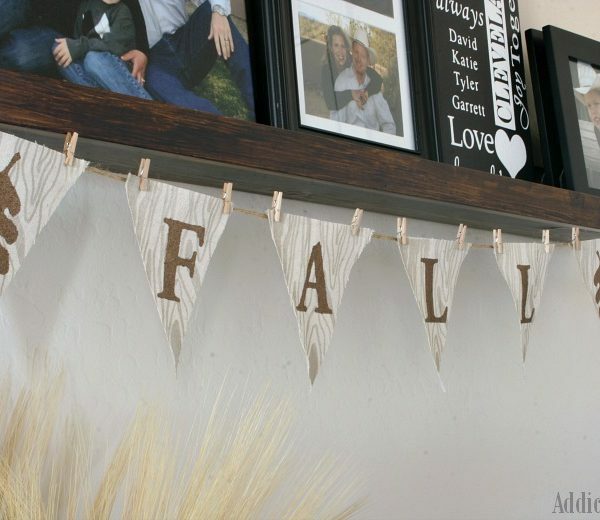 I love a simple and functional project! Seriously, I had no idea we had three bottles of glue. They always somehow got lost, but I managed to find them all while reorganizing all of my boys school/craft supplies. I’ll be sharing more progress on the den this week and in the weeks to come. I’m pretty excited about all of the improvements and the finished room is going to be such a great place for us to gather! 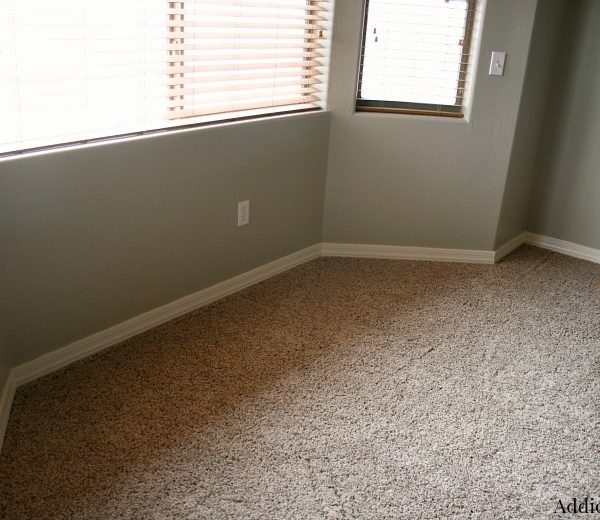 Don’t forget there’s still time to win the awesome tools I used to paint this room! 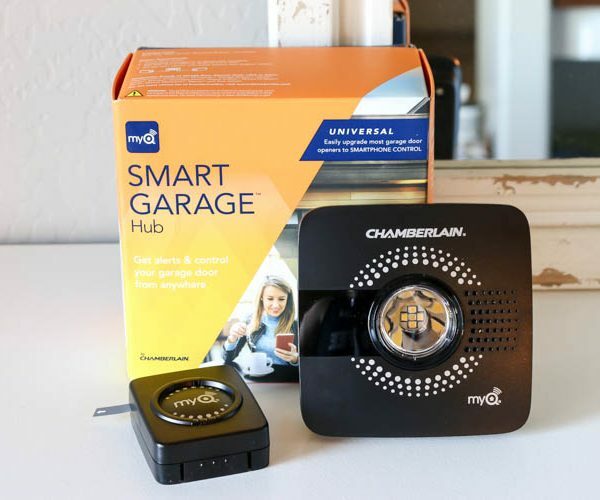 Go enter for the HomeRight Painting Essentials giveaway! Oh, I love these and actually like your version better! Michael’s has been killing it with their home decor pieces lately and what a score at $7.50! Merci de tous ces partages… Bises…..émilie. Love this! I saw this caddy system at Michaels the other day and I may go back and get it. 😉 Say, do you like the Americana Decor chalkpaint? 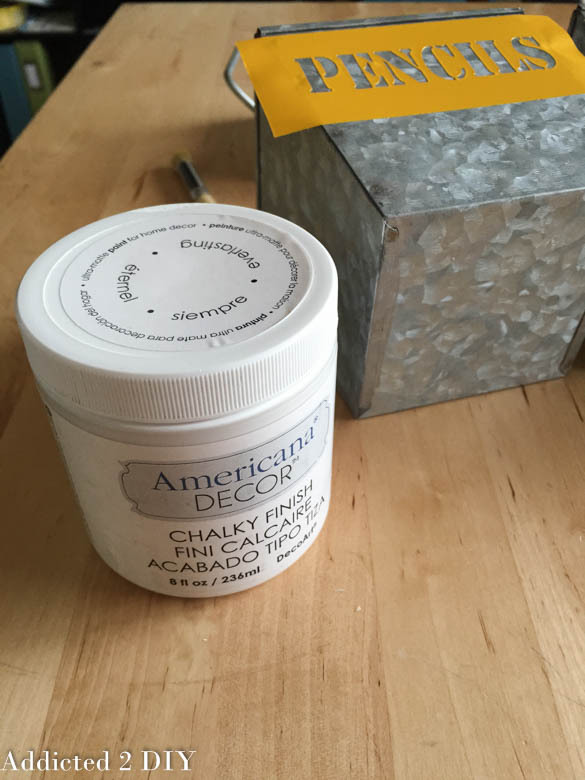 I have never used chalk paint before and saw this line at Michaels, which is reasonably priced. What are your thoughts? 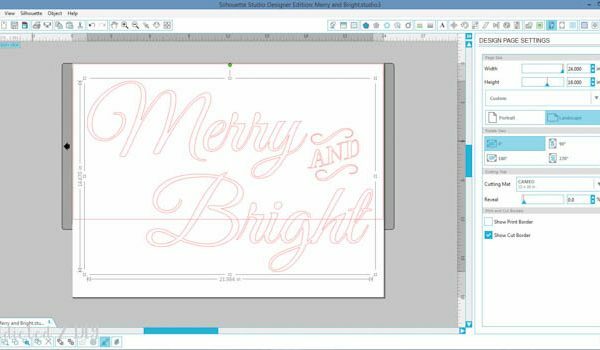 I really like it, and have used it on lots of projects. The wax is also easy to use. I’ve just started making my own using BB Frosch chalk paint powder and the BB Frosch wax and I also like that as well.